If you have an intolerance to lactose you know it can be difficult to find products that won't mess up your stomach. If you want to supplement with protein powders read below for a few good recommendations. Protein powder is an excellent supplement to use during training. It has been proven to help increase muscle recover time which can result in increased strength and endurance. But what about those who can’t handle dairy? Whey protein, the most common ingredient in protein powder, is a milk isolate and can often irritate lactose intolerant stomachs. Luckily, we’ve done some digging to find alternatives for those who need dairy free protein. Protein powder is a nutritional staple for many athletes and regular gym rats. From those who actually play a sport to those who are just trying to get in shape, adding extra protein to your diet helps speed up muscle building and recovery so you stay in the gym more consistently. Consuming enough protein may be difficult for some people. Or, if your training very hard you may need more protein then you can consume in your regular meals. That’s where protein powder comes in! The reason protein powder has become so popular is because it is very easy and convenient to consume. This supplement is easily mixed into a glass of water or your favorite smoothie recipe. Most protein powders feature whey or casein proteins, which are isolates of milk. Though it doesn’t bother some people, those who are lactose intolerant often experience tummy troubles from protein powder. If you want to experience the nutritional benefits of protein supplements without killing your stomach, look for dairy-free powders like the ones reviewed below. They are made with plant-based proteins that digest easily and are leaner, too! With so many protein powders to choose from on the market, it can seem like an impossible task to find the one that’s right for you. To make it easier, figure out what factors are important to you. Are you absolutely turned off by the occasional gritty texture? Do you need unique flavor choices? Would you like extra nutrients or pure protein? Follow our guide below and you’ll find the best dairy-free protein for you in no time. Flavor selection can make or break a brand for some consumers. Most protein powder brands come in chocolate and vanilla varieties, making them perfect for mixing with other ingredients to make a shake or simply dissolving them in water or your milk alternative of choice. If you’re planning to enjoy protein drinks every day, though, you may get bored with the same old flavors. Keep your eye out for brands that come in a wider array of flavors like berry, chai, mocha, or even peanut butter. Having more flavors to choose from could help motivate you to stick to your protein schedule when you are on a training schedule or just want to get healthy. Another thing to consider when choosing the best protein powder for you is the amount of protein per serving. If you are into major workouts (i.e. training for a race, playing a sport), you want to look for a supplement that has more grams of protein. Those who just use protein powder as a filling snack need less. Dairy-free protein powders usually range between 15 and 20 grams of protein for each serving, so be sure to check the nutrition labels to find the best one for your purposes. When choosing your protein powder, take a look at the protein source. Many dairy-free protein powders use hemp, brown rice, and pea protein isolate, but be sure to check the ingredients list. Some powders labeled as dairy-free use egg protein, though, so if you are allergic or a vegan, steer clear. Those who are allergic to soy (and men in general) should also beware of plant-based protein supplements that contain the bean. A lot of powders don’t contain soy but check to make sure before you buy. “Junk” ingredients are also a big problem in protein powders. Artificial flavors, sweeteners, colors, and preservatives are often added to make the product shelf-stable and more appealing to the taste buds. If you’re looking for a “cleaner” dairy-free protein powder, make sure the brand you want to buy doesn’t contain these nasties. Finally, consider what you want to get out of your protein powder. If you are using it purely as a post-workout supplement to recover and build muscle, a plain old protein powder will work perfectly. Looking for more of a meal replacement? Try one that contains other vitamins and minerals too. As you will read in the reviews below, many dairy-free protein powders are made from plant-based superfoods like seeds and greens. These provide a plethora of essential vitamins and minerals, as well as fiber and protein. Protein powders like these are great for times when you need a healthy meal NOW but don’t have time to sit down and eat. Students, busy professionals, and parents can get the nutrition they need from all-in-one supplements, while athletes are better served from pure protein powders. Remember that the best protein powder for lactose intolerant people in general may not be the best for you. Shop around, try a few different brands, and you should be able to find your perfect protein! A nutritional powerhouse. All ingredients are organic, vegan, kosher, gluten-free, soy-free, and non-GMO, so Orgain is ideal for those with special diets and food allergies. This low-carb powder has no artificial colors, flavors, or preservatives, so you can feel good about consuming it. Its combination of hemp, chia seed, brown rice, and pea proteins provides a good balanced mixture of ingredients. 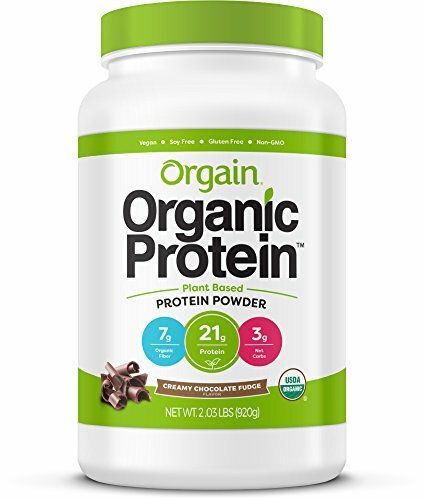 The downside to Orgain Organic Protein is that it can have a chalky texture even when mixed and a strange aftertaste due to the Stevia sweetener. Mix with a good smoothie recipe, the taste shouldn’t be a big issue. 100% MONEY BACK GUARANTEE. If You're Not Happy, We are Not Happy. Simply Ask us for a Full Refund. Yuve protein powder is a great all-in-one product. It packs 15 grams of protein per serving so it works great as a post-workout supplement for recovery. Each serving also contains 8 grams of fiber and tons of superfoods but just 110 calories, so you can drink it as a healthy snack or even a meal replacement if you are trying to lose weight. Yuve has everything you need in one beverage: essential vitamins and minerals, antioxidants, protein, and even some greens. With pea and brown rice protein for muscle-building, ingredients like flaxseed and buckwheat sprout for easy digestion, and superfoods like goji berries and acai to slow the aging process, this powder is designed to make your body feels its absolute best. Unlike some powders on this list, this one is very sweet in flavor, some may say too sweet. It also contains whole chia seeds that can get stuck in your teeth and gums, so try blending your drink to break them up. NUTRITION YOU CAN TRUST: No Udder was carefully selected by No Udder founder, Steve Muscari, who has with years of experience treating athletes seeking a healthy and effective protein supplement. CLEAN: Heavily scientifically researched and created with no "nasties", no dairy, no gluten, no soy, non-GMO, no fructose. 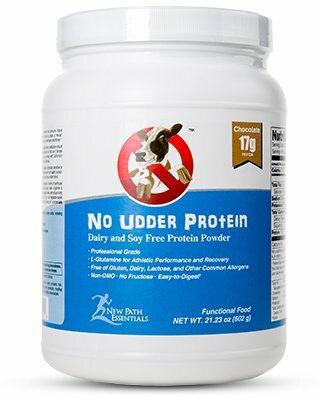 VEGAN: No Udder is a plant-based protein powder, making it also very easy to digest, and great for those with allergies or lactose-intolerance. This powder uses a simple water extraction process to dehydrate the ingredients, keeping the nutrients as intact as if you ate them fresh. That means your body should be able to absorb the full nutritional benefits without any nasty fillers, GMOs, gluten, soy, dairy, or animal products. Its combination of pea and rice protein, along with a natural enzyme from plants, ensures No Udder Protein is easy for your body to digest. It is made for slow absorption, which can help provide a more continuous delivery of protein throughout the day or night. The downside to this powder is that it can have a chalky, gritty texture, so add it to a blender to really mix it into your drink. The flavor is also not very strong so may need some extra sweeteners or flavors added if you want a sweeter tasting protein shake. If you can’t stomach dairy, don’t think protein powders are literally off the table for you. These 5 dairy-free products taste great and give you the nutritional boost you need whether you want to build muscle, recover after exercise, or just pack more nutrients into your diet. 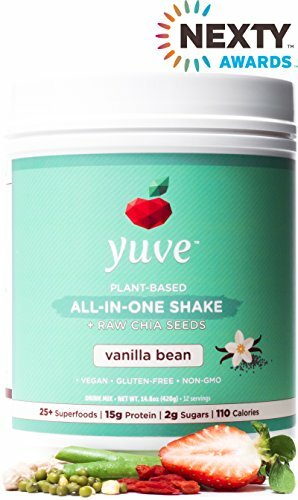 While they are all delicious, healthy choices, the best protein powder for lactose intolerant people we have found is Yuve Vegan Protein Powder. With yummy flavors like Vanilla Bean and Chocolate, a low calorie count, 15 grams of plant-based protein, and over 25 superfoods, it’s ideal for everyone from athletes to busy moms to working professionals.